After more than 2 years in development, BellaMoon, an award-winning baby breastfeeding product has launched with a Crowdfunding Campaign to help finance it to bring it to market. First time mother, Irene Breen, identified a need to provide more comfort and support to breastfeeding mothers after her own experience following the birth of her daughter, Bella. BellaMoon is a unique multi-functional breastfeeding bed, which is designed around the universal side-lying feeding position. It is designed to provide more comfort and rest to mothers, who are breastfeeding their babies on demand. 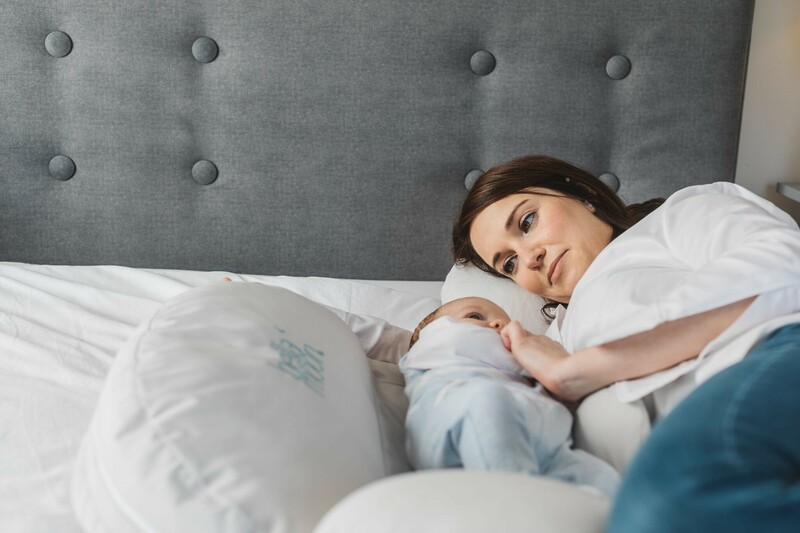 Aside from a breastfeeding bed, there are 7 different functions to BellaMoon, all of which support a mother’s journey right through from pregnancy until the baby is one years old. 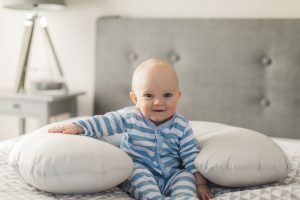 These include a breastfeeding day bed, breastfeeding baby-pod, an infant feeding pillow, a tummy-time pillow, a baby lounger, a breast-feeding cover for when feeding in public and finally, a pregnancy pillow for use before baby arrives. A recent Queen’s University MBA graduate, Irene won the National Santander Universities Entrepreneurship competition in October last year, seeing off competition from over 2,000 entries from throughout the UK. She also won the ‘Best Emerging Business’ at the Enterprise Ireland Student Entrepreneur Awards. The design of BellaMoon is patent pending and is protected by international Trademarks and Design Registration.